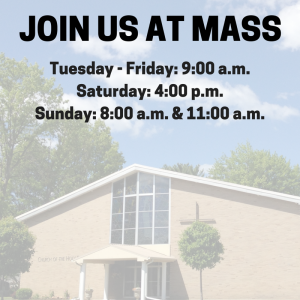 Open to all parishioners. Would you like to be in the Palm Sunday procession, or lector for unique liturgies, or participate in various ways at liturgy during the year? This ministry gives everyone an opportunity to share in liturgical ministry, especially those who are unable to commit on a regular basis because of time limitations.